Steffen Føreid has served as the CEO and CFO for Höegh LNG Partners LP since September 2018. Prior to that he served as a director since 2014. Since 2010, Mr. Føreid has served as the Chief Financial Officer of Höegh LNG through his employment with Höegh LNG AS. 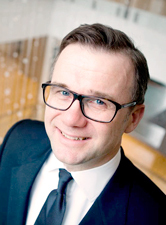 From 2008 to 2010, Mr. Føreid was the Chief Financial Officer of and an advisor to Grenland Group ASA. From 2002 to 2007, Mr. Føreid held various positions at a corporate restructuring of Kværner ASA, including Executive Vice President during a management buy-out of Kværner ASA and Vice President of Group Business Development at Aker Kværner ASA. From 1996 to 2001, Mr. Føreid worked within Corporate and Investment Banking at JPMorgan Chase & Co. Mr. Føreid has a Master of Science in Finance from the University of Fribourg in Switzerland. Sveinung Støhle has served as our director and chairman of our ​board of directors since 2014. Since 2005, Mr. Støhle has served as the President and Chief Executive Officer of Höegh LNG through his employment with Höegh LNG AS, Norway. He has more than 25 years of experience in the LNG industry with both shipping and oil and gas companies. Prior to his employment with Höegh LNG, Mr. Støhle held positions as President of Total LNG USA, Inc., Executive Vice President and Chief Operating Officer of Golar LNG Limited, General Manager Commercial of Nigeria LNG Limited and various positions with Elf Aquitaine. Mr. Støhle has a Master of Business Administration from the University of San Francisco and a Bachelor of Science in Finance from California State University. 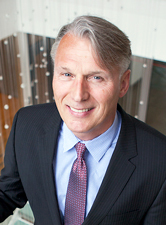 Morten W. Høegh has served as Chairman of Höegh LNG since 2006 and is a director of Höegh Autoliners Holdings AS. From 1998 to 2000 he worked as an investment banker with Morgan Stanley in London. 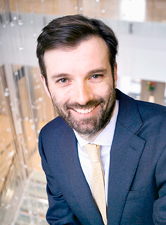 Morten W. Høegh holds an MBA with High Distinction (Baker Scholar) from Harvard Business School and a Bachelor of Science in Ocean Engineering and Master of Science in Ocean Systems Management from the Massachusetts Institute of Technology. He is a graduate of the Military Russian Program at the Norwegian Defence Intelligence and Security School. Morten W. ​Høegh is a Norwegian citizen and he resides in the United Kingdom. 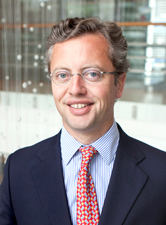 Andrew Jamieson has served as a Director of Höegh LNG since 2009. He has vast experience from the energy industry in general and LNG in particular, having been in charge of both the North West shelf project in Australia and Nigeria LNG for a number of years. Andrew Jamieson retired from the Royal Dutch Shell group in 2009 where he has served as Executive Vice President Gas & Projects and Member of the Gas & Power Executive Committee since 2005. 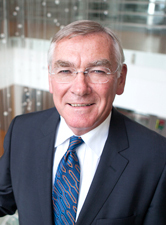 From 1999 to 2004 he was Managing Director in Nigeria LNG Ltd and Vice President in Bonny Gas Transport Ltd. Jamieson has been with Royal Dutch Shell group since 1974 with positions in The Netherlands, Denmark, Australia and Nigeria, and he has been a director on the boards of several Shell companies. Jamieson holds a Ph.D. degree from Glasgow University. Andrew Jamieson is a Fellow of the Institute of Chemical Engineers and also of the Royal Academy of Engineering. Andrew Jamieson is a citizen of the United Kingdom and resides in the United Kingdom and Australia. 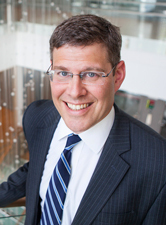 David Spivak has served as our director since 2014. From 2013 to 2016, Mr. Spivak was President and Founder of Brockstreet Consulting, where he advised companies on corporate finance matters. From 1995 to 2012, Mr. Spivak worked at Citigroup, serving in various roles, including as a Managing Director in the Investment Banking and Equity Capital Markets Groups, as well as the Canadian Head of Global Capital Structuring and Chief Operating Officer of Citigroup Global Markets Canada. From 2005 to 2009, he was based in New York and led Citigroup's equity capital markets business in the aircraft leasing, maritime and SPAC sectors. 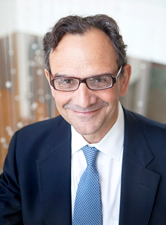 Prior to joining Citigroup, Mr. Spivak worked at Coopers & Lybrand in their Financial Advisory Services Group. 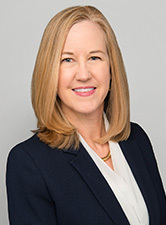 Mr. Spivak holds a Bachelor of Commerce (Honours) degree with Distinction from the University of Manitoba and an MBA with High Honors from the University of Chicago. He is a Certified Public Accountant (inactive).